Last week we explained why Alpha Developers should use Twitter. Now it's time to get started. 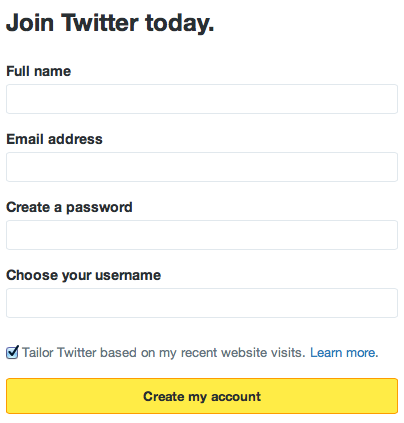 The first step is to create your account by visiting twitter.com/signup. The most important piece is choosing a username, this is how people will interact with you and include you in conversations. 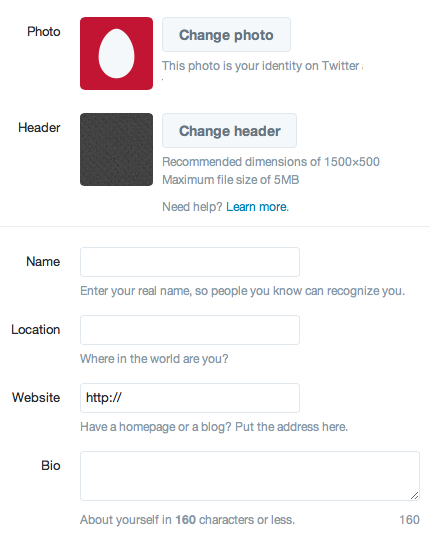 Once you choose a unique username and complete the signup process, Twitter will begin suggesting a number of accounts to follow. What does that mean? Twitter is a lot like an RSS news feed. You choose accounts to follow, and their messages, called Tweets, are delivered right to you. This makes it easy to choose what you're interested in and stay connected. You can always unfollow, or stop following, so choose a couple you find interesting for now. After you have chosen a few accounts to follow, Twitter will take you to its homepage. This is called your Timeline, and it's where all the Tweets from people you follow are displayed. It will show their most recent messages first and update in real-time. As you follow more people, it will show more messages. We will explain how to connect with Alpha Developers and other interesting folks in the mobile and web development space in our next post -- for now, let's focus on finishing setup of your account. 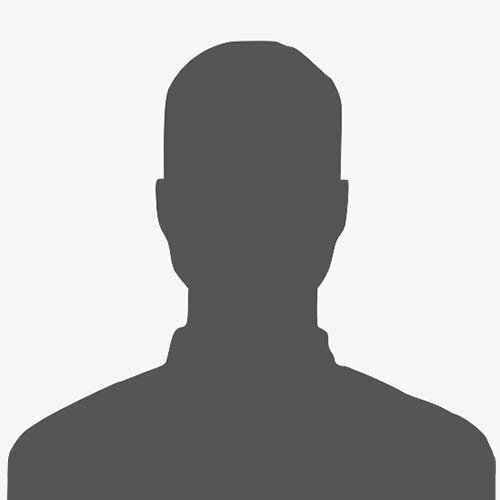 Let's start with completing your profile. This is how other Twitter users see you, and it is critically important. To change your profile, visit https://twitter.com/settings/profile. You will see a page that looks something like what's below. Change your photo, or profile picture, to something that people will recognize at a very small size. If this is for a business, try your company logo. If this is for you personally, try a close-up headshot and make sure you're the only person in the photo. You can change your profile picture in the future. Enter your real name, location and website so folks know you're a real person. There is a noticeable amount of spam on Twitter, and it's important to create an authentic profile. You don't need to be exact with your location, but try providing your town and state if you're in the United States, or a similar level of information if you're living elsewhere. Also provide a link to your company or personal website in the field provided. Create your biography with a short description of your business or professional self. Keep in mind that most people on Twitter will find you without any previous knowledge of who you are or what you do. Ask yourself: how would I introduce myself to a stranger? Why would other people be interested in what I have to say? Your biography is the hook that encourages people to follow your content. Write accordingly. Once you save those changes, you should have a much more interesting account. If you desire, you can continue to play with settings, such as creating a custom design, but what you've already done is all you really need to get started. Our next post will explain how to begin connecting with people and finding interesting content, but for now the best option is watch your Timeline. Twitter can be confusing for a lot of people when getting started; it has it's own language and way of interacting. Taking some time to simply observe is the best way to get oriented.